Doesn’t it feel like sometimes you’re just chasing life instead of actually living it? Like your fears are blocking you from what you long for most? It’s something all of us are familiar with and it doesn’t have to be that way. 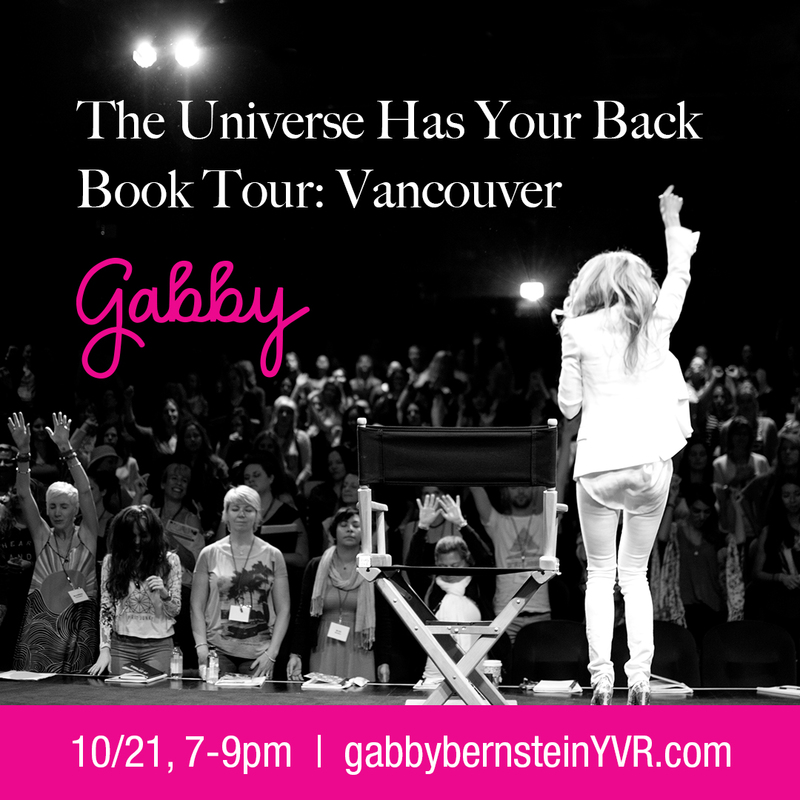 If you want to unleash the presence of your power and learn how to cultivate happiness, security and clear direction you need to attend #TheUniverseHasYourBack Event this October 21st! 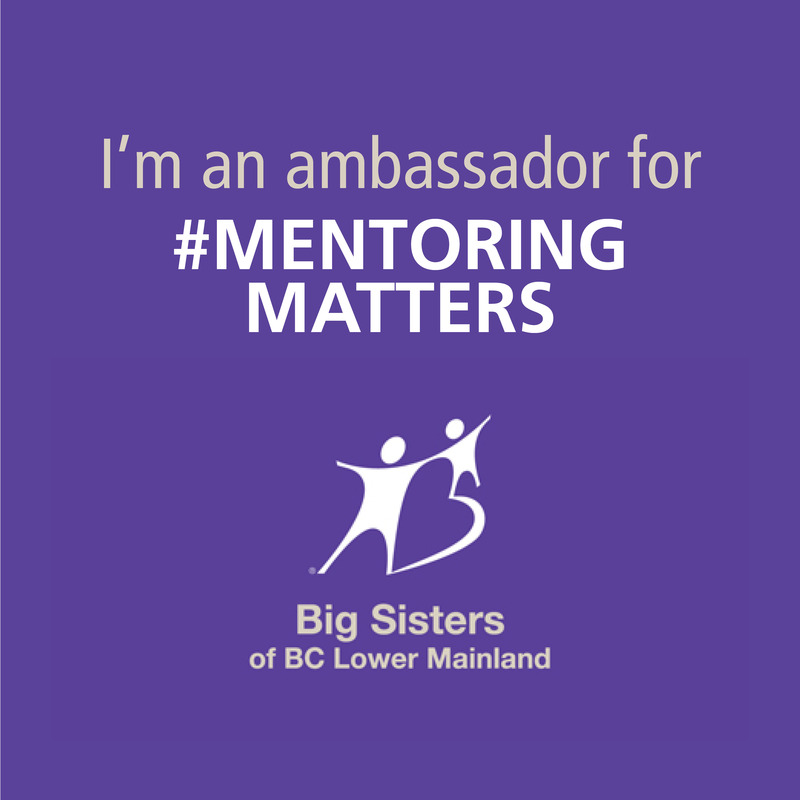 As an ambassador for the upcoming event, I was asked to answer some introspective, spiritual questions. 1.Describe a time in your life where you felt totally safe, serene, and clear. What happened to get you to that place? A time in my life where I felt safe, serene, and clear was my first public speaking engagement. While I was preparing for my talk, I was nervous and anxious, however, once I was up on the stage I felt safe, serene and clear. I got to this place because it was something I believe the universe had prepared me for. My entire life I knew deep inside that public speaking/teaching was something I was going to eventually do. I just needed the confidence to finally do it, and putting myself out there through writing, social media, and networking gave me the confidence to do so, which brought me to the stage. 2.How did it feel once you got there? Once I was up on the stage I felt confident. I felt like myself! 3.How important is having clarity to you? Having clarity is one of the most important things to me because without it I feel lost. uncertain, unmotivated and scattered. When I eat healthily, exercise, keep my workspace tidy and make lists, I feel clarity and this helps me thrive in business, motherhood and ultimately all aspects of life. 4. Has fear ever held you back from going after something you really wanted? Absolutely! Fear has held me back many times in life. I really wanted to apply to speak at an event this year and I let fear get the best of me and didn’t apply. 5.Did you ever overcome this fear? How did you do it? I overcame this fear when I was asked to speak at something else and set my fears aside and said yes! 6.When in your life do you feel you’re in flow state? 7.Describe the feeling of being in this flow state? 8.What does it take for you to get there? Sometimes it takes me a while to get to this state of being in my flow. Oftentimes motherhood and work come first but when I set aside time to do these activities that keep me in my flow state I NEVER regret it. In fact, it’s needed in order for me to feel clarity and happiness. 9.Tell us what it means to you to surrender? My mind always tells me that if I surrender I’m quitting. But my heart knows that when I surrender I receive nothing but love. 10.Describe a time in your life where you felt like the Universe had your back. The Universe has had my back many times, but what I’ve realized is this; it’s hard for the universe to have my back when I’m in a negative state. When I’m in a state of ebb, it can be trickier for the universe to respond to my needs. When I’m in my flow, however, I can feel the universe and listen to its signs. I knew the universe had my back when I came home, many years ago to my house on fire. I was driving home from the dog park with my kids and instead of going straight home I was going to take my kids to White Spot for lunch. Something told me I needed to go home instead. So I listened and drove home. If I didn’t drive home my entire house would have burnt down! Luckily when I pulled up and saw the smoke I called 9-1-1 immediately and the damage ended up being part of the house. If I didn’t come home, the entire house could have burned down. The universe was definitely on my side! 11.Share your experience of Gabby and/or her work and how it’s personally touched you. 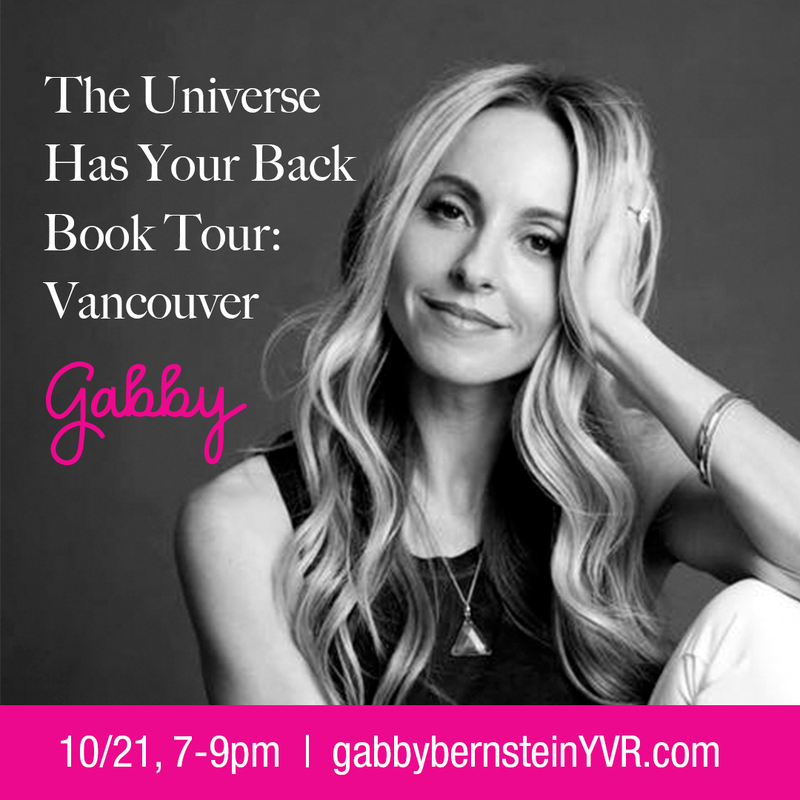 If you haven’t already got your tickets to Gabrielle Bernstein’s #TheUniverseHasYourBack book tour event Friday, October 21st I would highly suggest you do. Tickets are already 75% sold out! VIP ticket holders get 3 copies of the book + Gabby’s True Power Digitial Workshop (a great way to #payitforward and share books with family and friends. Can’t wait to hear her NEW talk ‘How to Transform Fear into Faith and Know the Universe Has Your Back’. Tickets are already 75% sold out! VIP ticket holders get 3 copies of the book + Gabby’s True Power Digitial Workshop (a great way to #payitforward and share books with family and friends. Can’t wait to hear her NEW talk ‘How to Transform Fear into Faith and Know the Universe Has Your Back’. VIP ticket holders get 3 copies of the book + Gabby’s True Power Digitial Workshop (a great way to #payitforward and share books with family and friends.) I can’t wait to hear her NEW talk ‘How to Transform Fear into Faith and Know the Universe Has Your Back’. Disclaimer: as an ambassador for this event I received free tickets to attend, a copy of the book, and a digital course. I would never share anything that I don’t feel is fitting with styling the inside of your life.